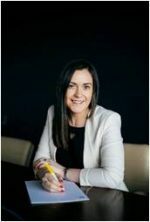 Lorraine McCann is a Senior Manager and Leader of EY Ireland’s Climate Change and Sustainability Services (CCaSS) practice. Lorraine has extensive global cross-sectoral experience in helping companies comply with ever increasing regulatory and voluntary sustainability requirements. Her experience has been focused on helping companies engage with stakeholders, undertake materiality assessments,set and measure non-financial key performance indicators, sustainability and integrated reporting advisory, sustainability risk assessments, sustainability assurance, regulatory reporting and impact measurement. We live in a world that is ever-changing and corporate reporting is struggling to keep on top of increasing stakeholder demands. Intangible assets now significantly outweigh tangible assets on the balance sheet. One of the greatest challenges facing companies today is how to measure and communicate long-term value. EY have undertaken a study with business leaders, academics, employees and investors to understand what corporate reporting could look like in the 21st century. In this presentation, EY will take you through the findings of this study, and the six “tests” that companies need to pass to enable measurement and reporting of long-term value creation.